Disclaimer: This post is for information purposes only and not an investment advise. Please consult your investment advisor before doing anything. I am not liable if you lose money or if anything in this post is not factual. So you’re at a stage where you hold a decent chunk of Indian equities, but would like to diversify your holdings to overseas companies. Everytime you use your phone or shop online, you are making money for non-US companies. There is a substantial part of value globally that is not captured by Indian companies. As such it might be a good idea to diversify your holdings globally. Open an overseas trading account offered by Indian brokerages. 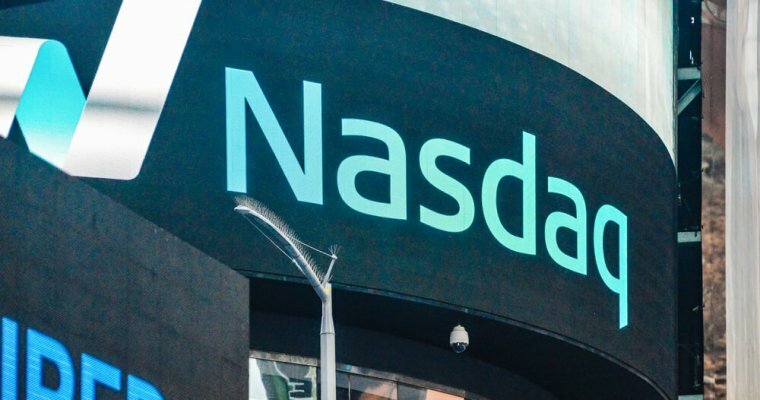 Open an account directly with an overseas brokerage firm offering access to US markets. Invest in a domestic mutual fund holding US equities. I’ll be talking about each one of these options in detail. You can invest upto 250,000 USD every year overseas. You cannot buy/selling anything on margin, deal with Forex or buy Foreign Currency Convertible Bonds(FCCBs) from Indian companies. The full list of what is allowed and prohibited is available on RBI’s website. Kotak Securities, ICICI Direct, India Infoline, Reliance Money and Religare all offer an option of access to overseas securities. However I found that the local ICICI Bank branch had no knowledge about the same and they made no effort to help me out. I also learnt from someone that they charge very high fees. 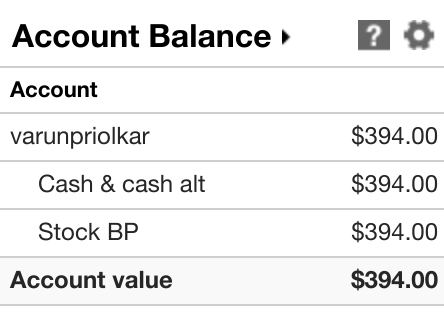 I had a Saxo Trade account – I closed it. Costs are too high. You need at least a 10 lakh portfolio to make some sense of the costs. I won't commit 10 lakh until I get a good experience. So I didn’t try this option out, but it’s a good option to have. Filling out their form online , printing it and signing it. Aadhaar card and driving license for ID. W8-BEN form for tax declaration. It took around 2 weeks for them to verify everything, although that could be because I had submitted everything during the winter holidays. While they do tell you to physically send the documents or fax them, they do accept documents over email too. You have to mail them to international@tdameritrade.com. Capital gains will be taxed in India like debt. Taxes will not be withheld in the US by the broker. Dividends will be taxed at 25% in the US, which will be income from other sources. You can use deduction for these in India while filing your tax returns. You may or may not need an International Tax Identification Number(ITIN) from US Internal Revenue Service(IRS). Authorised agents in India charge around ₹8000. 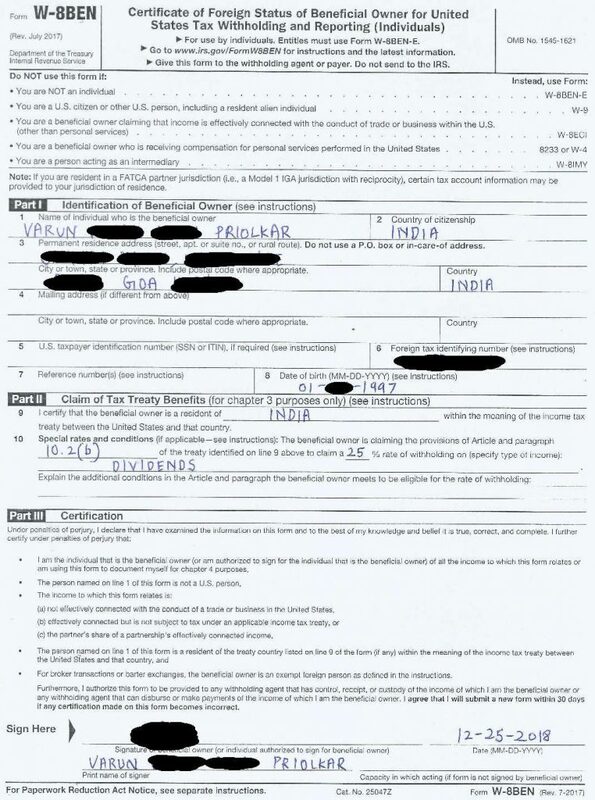 I figured I didn’t need it and applied with just my Indian Permanent Account Number(PAN). Most brokers should have an international accounts opening team to help you with taxation related queries and how to fill out the requisite forms. While TD Ameritrade offered many options for transferring money, only Wire Transfer seemed like a practical solution, which most banks offer without questions asked. I found the transfer costs and the spreads for currency exchange to be excessive for ICICI Bank. Do let me know if you know an another option. For the transfer you’ll have to fill out the form from the bank, which includes reasons for transfer, if you want like a regular/guaranteed transfer(regular transfer means the receiving bank could deduct some amount for fees, which was 6 USD on a 400 USD transfer for me). The brokerage will give you an account where you can transfer money to. 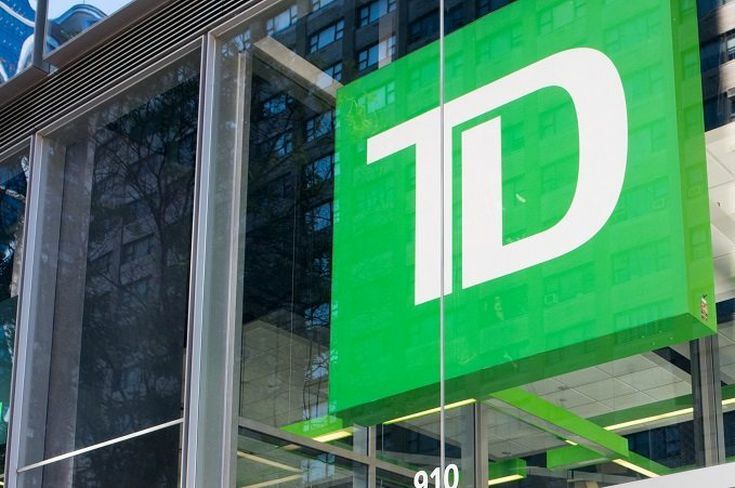 For TD Ameritrade I had to add the For Benefit Of(FBO) number on the receiver’s details(next to the account holder name) and in additional information. If you filled out everything correctly, you should see the amount in the brokerage account in a few days. It took nearly 5 days for me. It would have been nice if they had an Indian bank account to make the transfer fees lower. 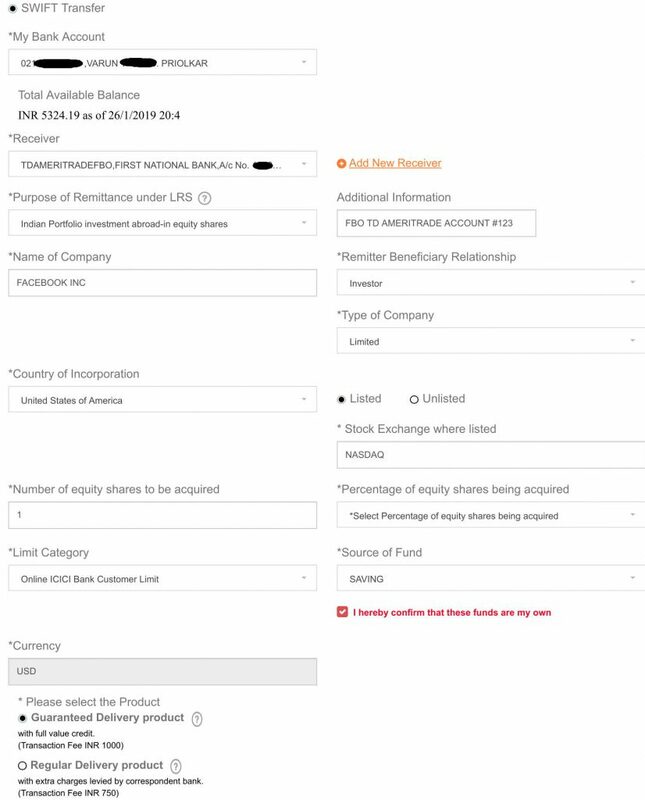 PPFAS Long Term Equity Fund – This fund has a part of it’s portfolio in international stocks but has > 65% of portfolio in Indian equities for getting equities treatment for taxation. It is one of my favorite funds. If holding of Indian equities is < 65%, these the fund will be taxed like debt. Some of these funds also hedge for currency risks. It’s best that you contact a tax consultant who understands US and Indian tax laws to help you out. I don’t know much about how taxation there would work, sorry!